We procrastinate a lot. Whether it’s going to the toilet *again* in the hope the heart sink patient’s card is no longer at the top, or waiting for Dr Epic to return to ask a quick question, it still counts as procrastinating. Using your phone to look for #FOAMEd is also procrastination! There’s no real solution to this, except to acknowledge we are procrastinating, and ask ourselves if our procrastination is likely to change anything. The Pareto principle suggests that 80% of our time is spent doing things that give us 20% of the results. 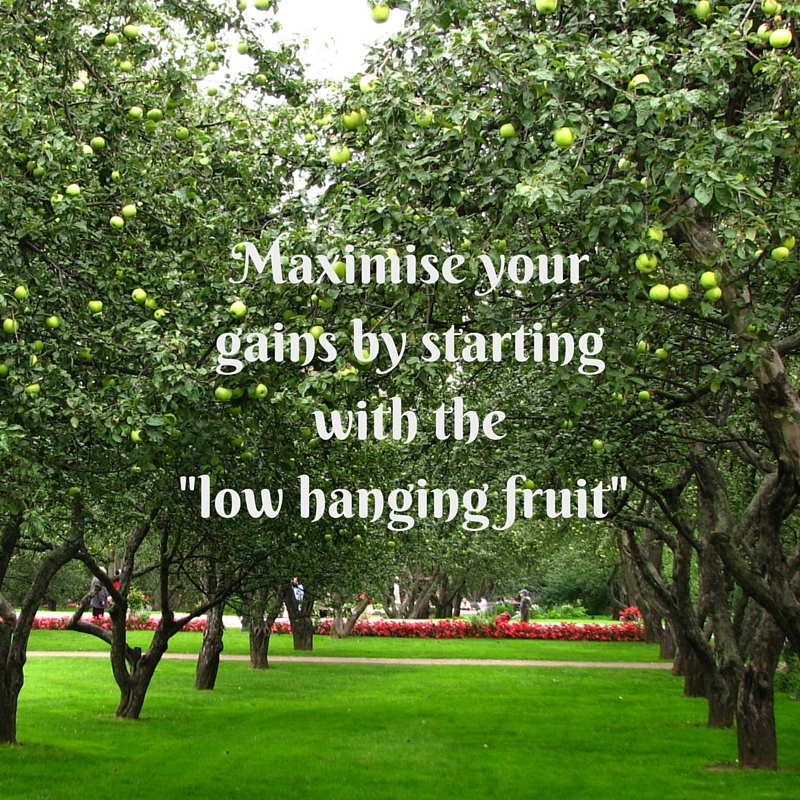 This means that if you pick the low hanging fruit and do the easy things well, you’ll get great results – giving IV fluids to someone with sepsis doesn’t take long, but the results are instantly noticeable. Identify the 20% that will give you 80% of the results, and start with that. It also means that you don’t have to change everything at once. Aim for marginal improvements – you don’t need to reduce the time taken to collect all the equipment for a cannula from three minutes to one – but three to two is still an improvement. – Encouraging staff to use the induction app, and updating your department details. – Move trust guidelines to a shared network so they are accessible from all computers. – Speak to IT to get commonly accessed pages unlocked. – Have set policies for who keeps the keys – eg resus keys are always with the nurse in charge of resus. – If instillagel is in the cupboard at one end of the department, and the catheters are at the other end of the cupboard, why not move the stock around (with discussion). 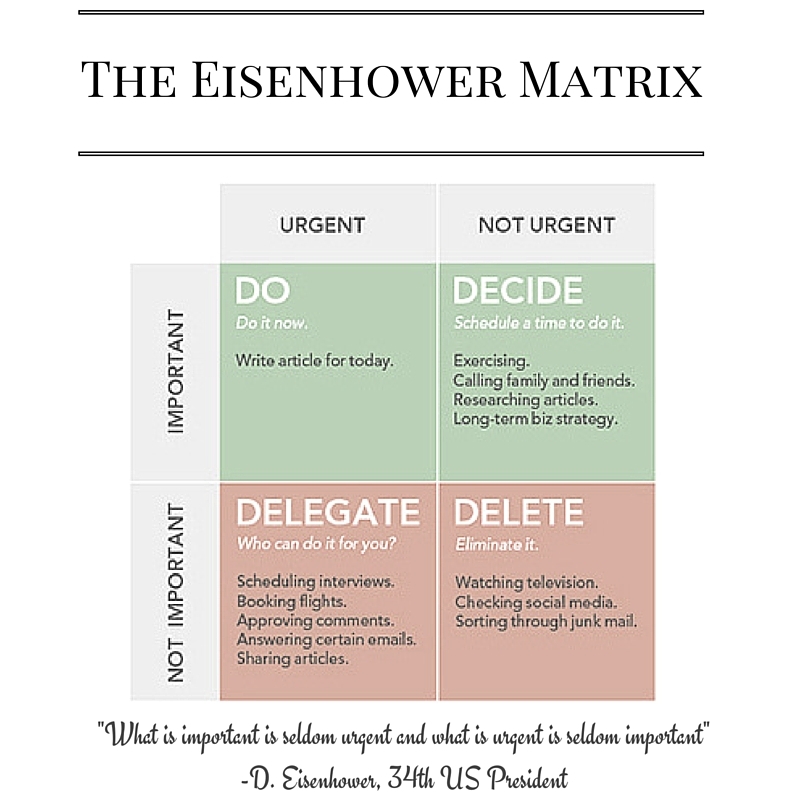 When faced with a million things to do, employ the Eisenhower Priority matrix. Most of us probably already do this in principle, but this video is a good way to remind us how it should be done. Try and make everything you do outside work count for more than one thing. The how I work smarter series by ALIEM has lots great tips on how to do this. When reading your background work for your CTR, turn that work and research into an e-learning module or podcast. Share your audit literature review. Your mandatory training might be dull, but instead of learning facts, learn about people. Have a look about the trainer – why is it a bad presentation? Are they forgetting to tell a story? Or do they not know their audience – look for the silver lining, and learn from everyone else. 10% of our happiness is controlled by the outside world, which means that 90% of it is controlled by ourselves. Smile at people, smile at yourself. Invest in your social network. Notice when people are unwell. It saves time in the long run – it is harder to be difficult about a referral that is made by a friend. On occasion, I’ve even sent some sweets in the pod to the laboratory staff – it was much appreciated, even in a tertiary hospital! Being happy is also really important, and there’s a great book, reviewed on ALIEM that talks about the effects of being positive and happy. It even talks about how if you think you’re loosing weight, you’re more likely to loose weight! If you’re rude, you reduce the productivity of the rest of your team, and can cause harm – your team will no longer be as helpful, motivated, creative, flexible or productive. If a patient seems unhappy with what youve said, confront it. It is quicker to solve the problem there and then, than waiting for the bloods, and the problem escalating, or answering a complaint letter. 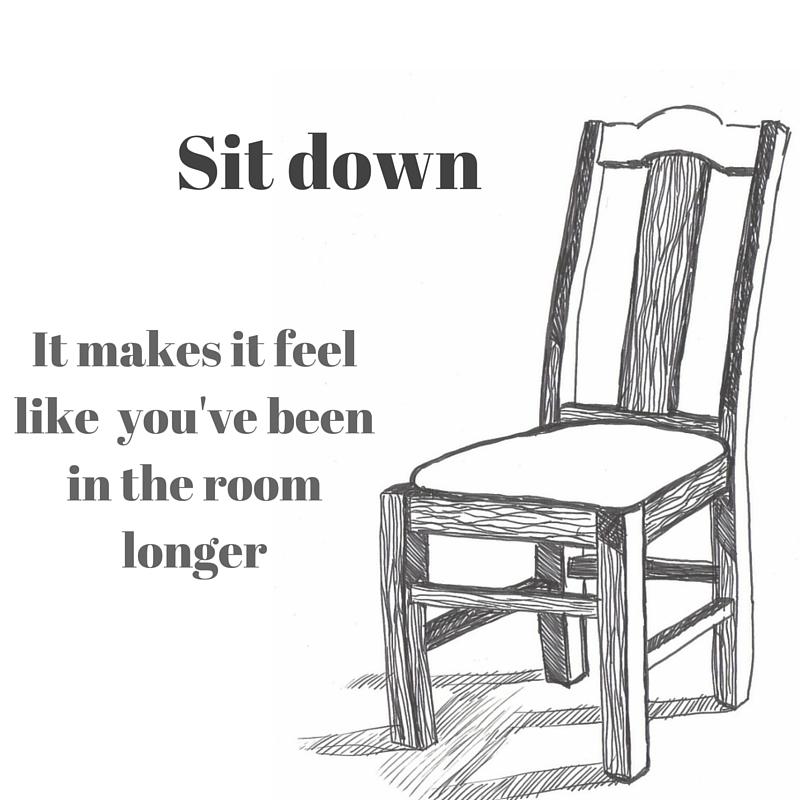 Likewise, if a relative is shouting and complaining, it is often quicker for you to de-escalate the situation yourself, rather than leaving it to other members of the team. I know I have a personal interest in avoiding nocebo, and have created a podcast on it already, but it really does save you time. If you tell a patient the paracetamol might work, of course it wont – and then you’ll have to prescribe something else, and someone will have to make up and give something else. If you tell a patient morphine normally makes people feel sick, they want to be normal, so of course they’ll start to feel queasy. This also goes for saying I’m sorry before you take some bloods – apologising makes it seem bad. Part of this is to manage your patients and their expectations. Develop some key phrases to help like in the short while we have together or we dont have long, so lets start with. Another part of this is to share the mental model. Human factors type people love leaders to share their thoughts with the rest of the team, but when you are the only Clinician, remember the patient and their relatives are part of the team. Talk through why you are reaching your conclusions – it saves time at the end. Sometimes, the hardest thing in medicine is not doing something. It’s harder to say you won’t give IV fluids to the drunk patients than it is to give them. But in the long run, the time savings for the whole team, are worth it. Know what interventions, especially time heavy ones like radiology and IV medications, aren’t necessary. Using FOAM saves lots of times – why re-invent the wheel when someone else has already done what you want? Register your projects online, and find new people to collaborate with. Some good tips and great links. Thank you. informative and applicable, thank you.